A faulty garage door can make life quite inconvenient for you. Imagine having to troubleshoot the problems with your door every time you needed to enter your garage and head out of your home with your vehicle. A lot of people face this predicament on a daily basis. To make life easier for them, we have a range of garage door repair services on offer at Garage Door Repair Bridgewater. Our company prioritizes the needs of the average customer which is why we strive to keep our standards high without raising the price of our services. We have become a hallmark of excellence over the years because of our dedication towards customer satisfaction. Arriving on time, getting the work done on time and ensuring that the customer is left with no complaint after the assignment are our primary goals for each and every single door repair project. We are able to achieve this because of the perseverance and expertise of our well trained and highly experienced technicians. They are true masters of their craft and have conducted numerous repair jobs on garage doors with immense success. The opener can be viewed as an integral component of the garage door. Any problem with the opener can have a huge impact on the closing or opening of the door. In fact, certain problems can actually prevent the door from opening at all. 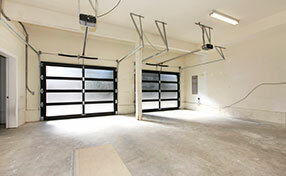 If you do not want to get trapped inside your garage or out of it, then consider our opener repair service. We inspect, adjust and lubricate the opener to make sure that everything is working just fine. On top of that, we check the mounting of the unit as well as its attachment to the door to figure out whether external problems are disrupting the movement of the door. Our garage door spring replacement service is the best that money can buy. At Garage Door Repair Bridgewater, professional technicians will do their very best to fix broken springs and restore the function of the door. In the event that a repair is unsuccessful, a replacement can be made to get the door working again. 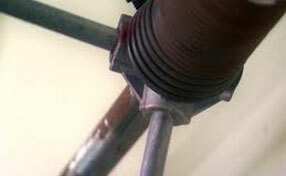 Fixing faulty roller cables is a very important part of our company’s garage door repair service. Problems within the roller cable will inevitably have an impact on the movement of the door. Our skilled technicians possess all the tools necessary to address this problem and provide a long term solution that will stand the test of time. 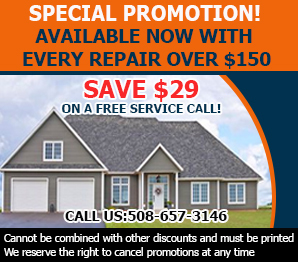 You can contact us today to get your malfunctioning garage door working again. We promise you a prompt response and a high quality service that will certainly be your money’s worth.